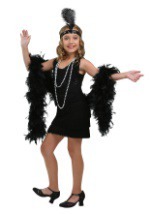 This cute toddler costume will transform your kid into a flapper girl. 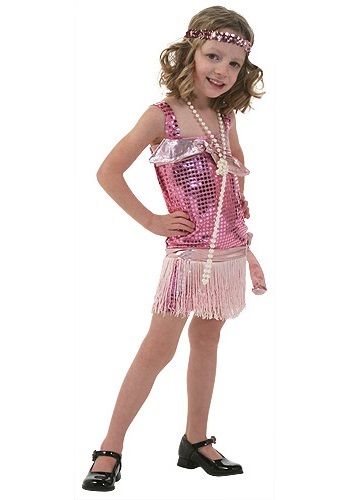 The pink kids flapper costume has a mesh base with sequin covering it and metallic fabric bands across the chest and hips with bow accents. 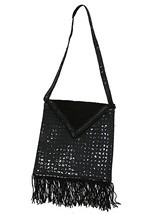 The chest has elastic in the back for a snug fit and fringe at the bottom of the skirt for true flapper style. 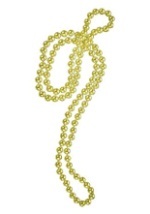 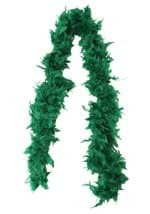 A knotted, long bead necklace and stretchy sequin headband complete the toddler costume. 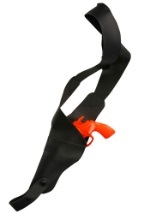 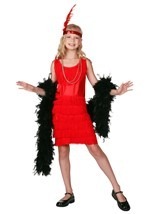 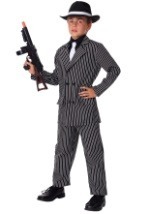 You'll love this flapper girl costume with our kids Mary Jane's.